When Dean of Arts Christopher Manfredi established the Arts Undergraduate Research Awards (ARIA) in 2010, his goal was to enhance the undergraduate experience for his Faculty’s students.The following are brief descriptions of four of the 37 ARIA-funded projects of 2011. ARIA pairs undergraduate students with their professors for the summer to conduct research in their respective fields. 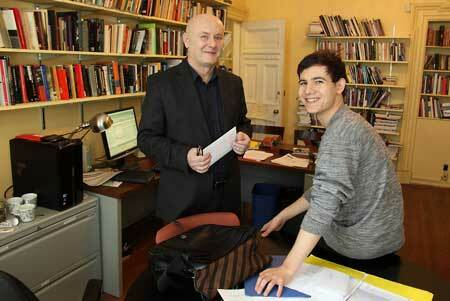 Recipients are awarded $4,000, with the Faculty and the respective professor footing equal parts of the bill. The response from both sides has been very positive. What’s not to love about a program in which everyone involved comes out ahead? “ARIA provides the opportunity for undergrads to gain important skills for research. For the professors, it is another way to mentor students and gain the contribution of a keen undergrad throughout the summer,” said Mat Lyle, Internship Coordinator Faculty of Arts Internship Office. The following are brief descriptions of four of the 37 ARIA-funded projects of 2011. Project Description: The research internship was conducted for an ongoing project in which Professor Barney is investigating the manner in which changes in grain-handling technology in the Canadian prairies have affected the social political and economic life of prairie farming communities. 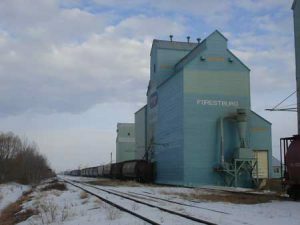 The project pays special attention to the transition from iconic wooden country grain elevators to centralized high-throughput inland grain terminals, and to the abandonment of the railway branchlines that serviced the old elevators and their communities. The project is particularly concerned with how communities have responded to these technological changes, and includes a detailed examination of one prairie community’s efforts to establish Alberta’s first co-operative, grain-dependent, shortline railroad, the Battle River Railway. Project description: The Pagano Studio, which operated for most of the 20th century, was one of the largest photography studios in the country. Used by fashion magazines (it was one of the first studios to employ African-American models), by advertising agencies, and by the publishers of lurid true crime magazines, it contributed very much to the “look” of American culture in the mid-20th century. Destroyed by fire in the 1970s, the Pagano Studio left few archival records or historical traces. Henry examined newspapers, business directories, the records of photographic associations, fashion and photography magazines and a wide range of sources in piecing together the history of the Studio. Project description: Central Panama has been occupied by humans for over 11,000 years. 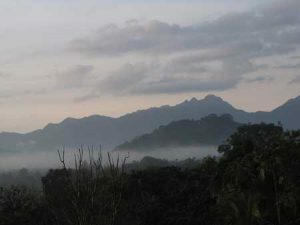 It is also one of the first ‘hearth zones’ of Native agriculture in the Americas. Over the last 500 years it has been claimed and occupied by Spanish colonizers, English and French contrabandiers, Afro-Caribbean gold miners, and a range of indigenous peoples. It is a culturally complex territory and this has been reflected in the changes to the landscape over decades, centuries and millennia. “Laurianne’s project consisted in mapping out the long-term dynamics of this landscape,” said Studnicki-Gizbert. 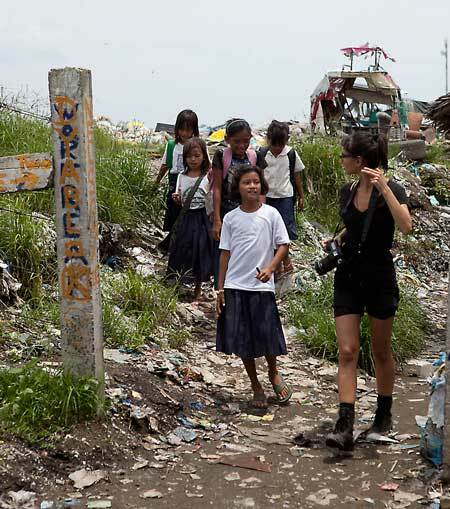 Tanya Bindra visited poor areas outside of Manila to better understand the conditions of unemployment, enderemployment and poverty that prompt nearly 4,000 Filipinos to leave the country each year. Project Description: The ARIA research focused on the processes through which migrant workers are recruited from the Philippines into the Canadian labour market via the placement agency system. Low-skill migrant workers are so often caught in precarious, unsafe and underpaid jobs, regardless of their previous professional experiences or whether they are documented or undocumented.Understanding the role of intermediate organizations such as placement and recruitment agencies is important in understanding the links between economic restructuring policies in the Philippines and the creation and transnational mobilization of large, cheap and exploitable pools of labour across borders.